I saw this at the Farmers Market this weekend and knew I had to buy it. 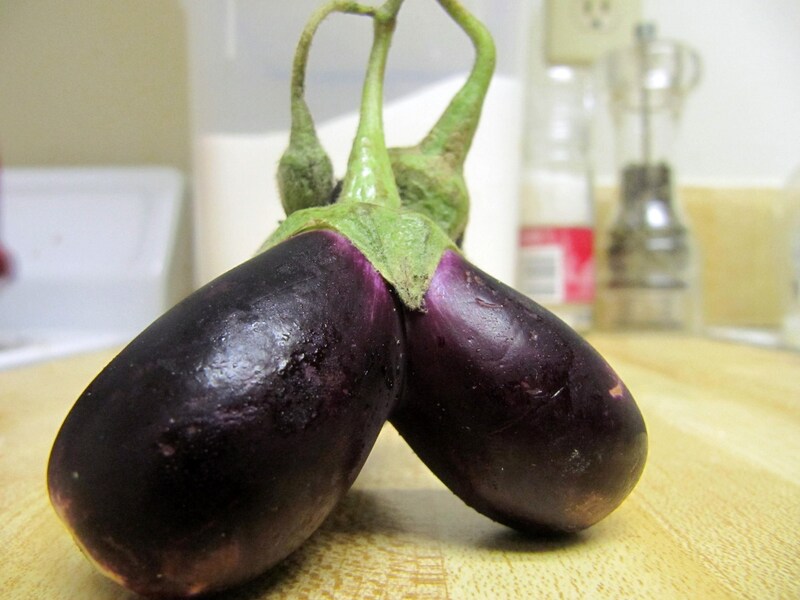 Who wouldn’t want Siamese eggplant? I love the “freak” veggies. I always make sure to give them a good home in my belly. 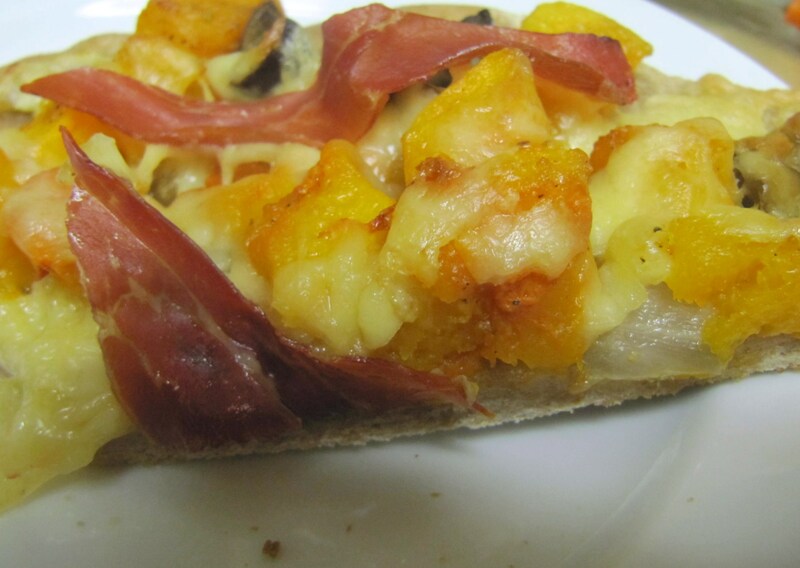 Tonight I used the eggplant to use it for flat bread pizza with butternut squash, onion, garlic, salt, and pepper on Trader Joe’s Whole Wheat crust. I only ate half, and saved half for tomorrow. 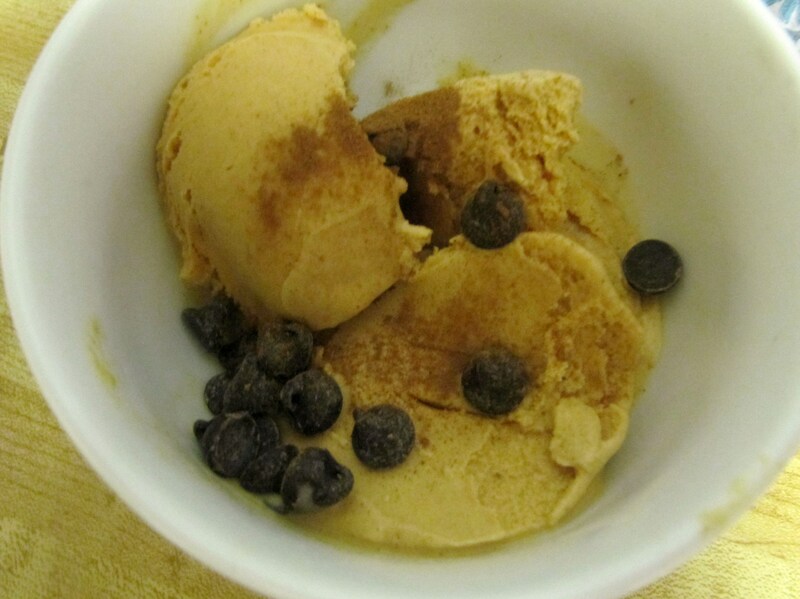 Carolyn tipped me to a great desert, pumpkin ice cream from Trader Joes. I added mix ins of course! Tonight I chose cinnamon and chocolate chips. I used the ice cream scoop of my childhood. Many of my kitchen utensils are from my parents house! Hello dessert. I love you. This literally tasted like fall. Pumpkin-ey, nutmeg-ey, and cinnamon-ey. SO good. Do yourself a favor and go out and buy some tomorrow! I also had another new kitchen acquisition… a magnet! Its like a daily Operation Beautiful reminder :). The note it’s holding up has been on the fridge of every apartment I’ve lived in since May of 2008. I originally posted it to get me through the LSAT and have moved it with me since. This is the 4th fridge its been on! To me, it means not to make plans because life always turns out better than your plan could ever be. I know its been true in my life. On that positive note, hope everyone has an awesome week! 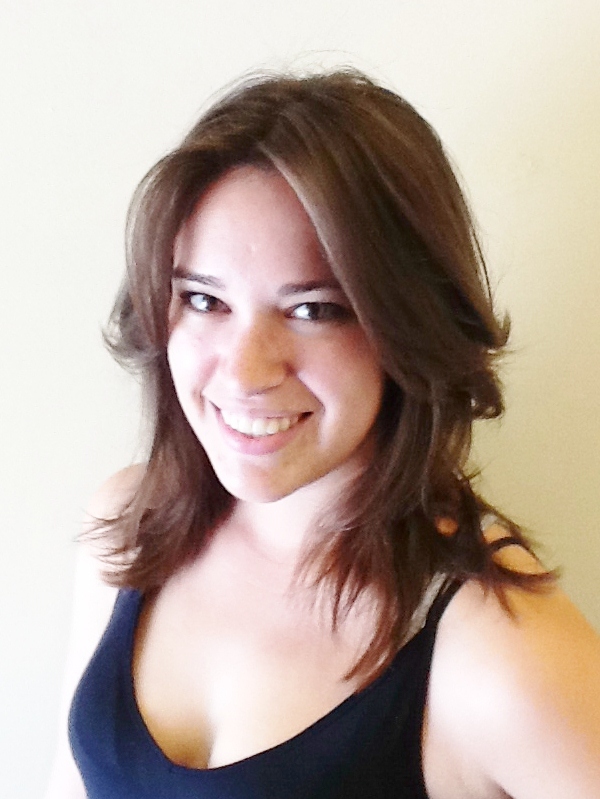 I have Thursday classes on Wednesday (woo hoo! No Wednesday busy day!) Thursday I have no class and my Mom lands in LA Thursday to watch my Half Marathon this Sunday. It’s going to be an epic week! 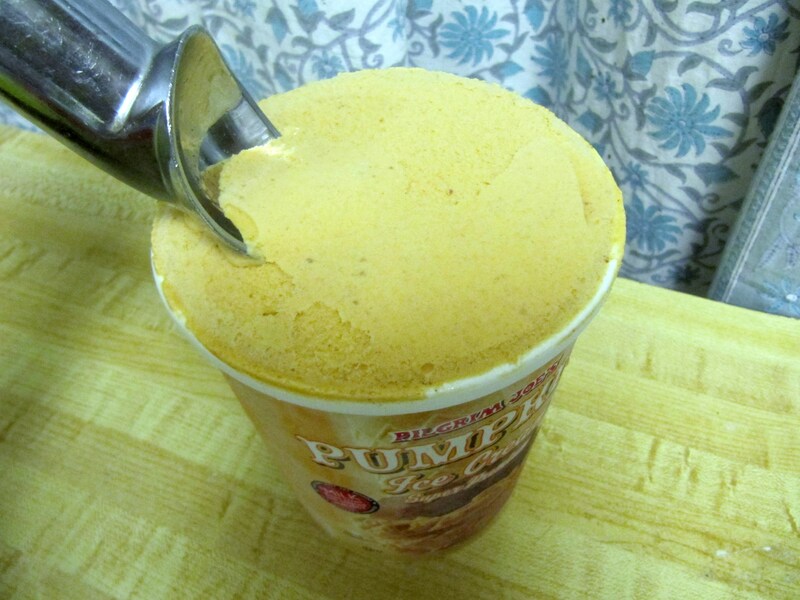 i’ve gotta remember to pick up the pumpkin ice cream before the season is over! 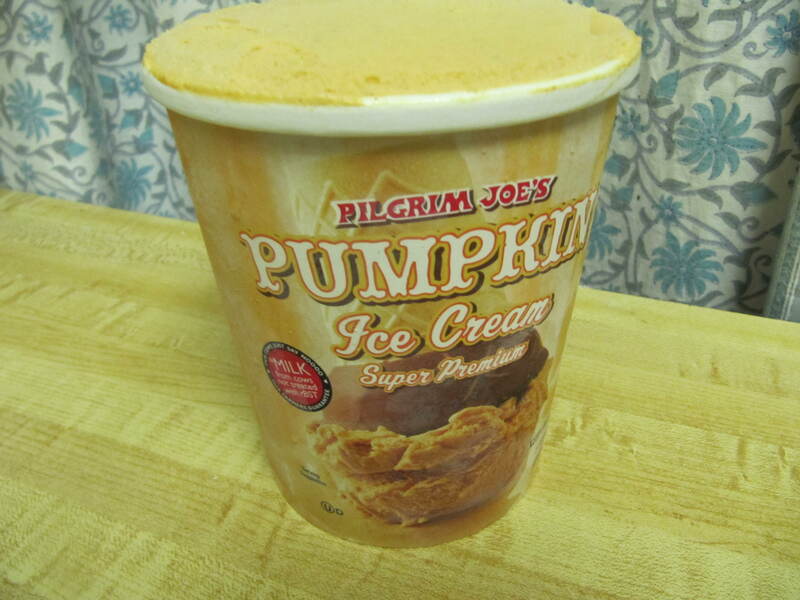 That Traders Joes Ice Cream is amazing. My favorite ice cream, by far. And their pizza dough is amazing. Basically, if it is at Joes, it rules. I want to live/work their. A) I love that siamese eggplant. 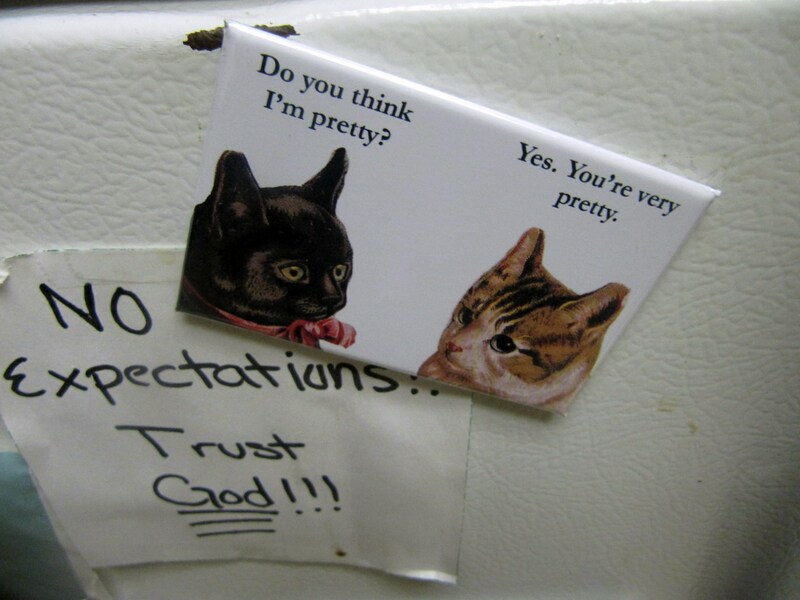 i love that magnet! i have a few that have traveled with me from home to home and they always make me smile. We have that ice cream! It’s my favorite. The eggplant is adorable. I had some freak carrots the other day. I love it.